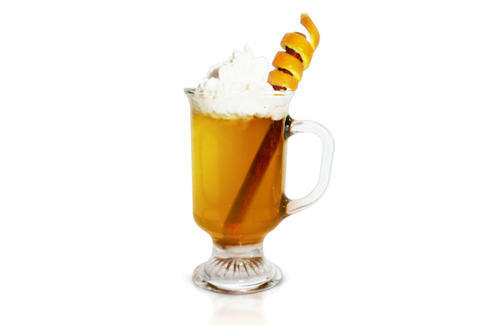 Place the orange peel and cloves at the bottom of a mug. Add the whiskey, orange liqueur and sugar. Stir with the cinnamon stick to combine. Top with whipped cream and garnish with orange rind shavings.